The HPS Food Group analyzed turkey data from the U.S. Department of Agriculture (USDA) over the last two decades. 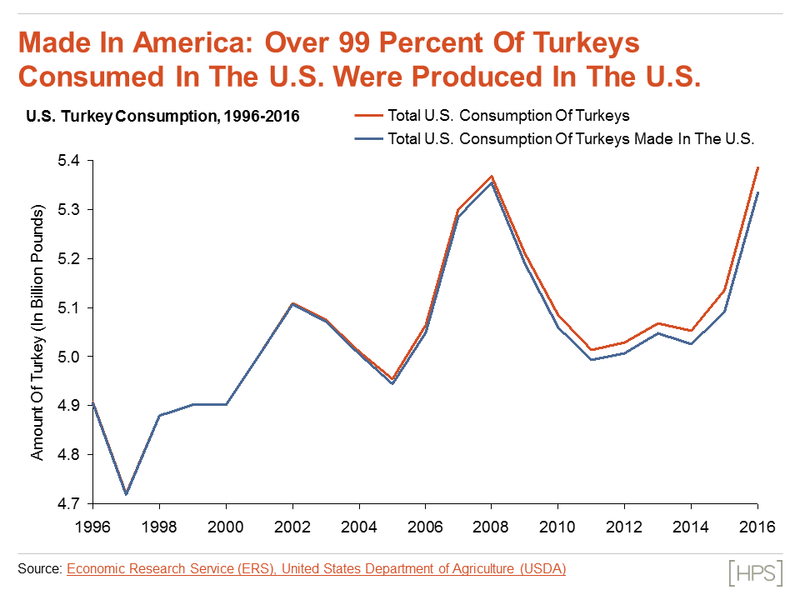 The data show turkeys on America’s tables are largely made in America, as less than one percent of turkeys consumed are imported. Yet not all turkeys made in America stay in America. 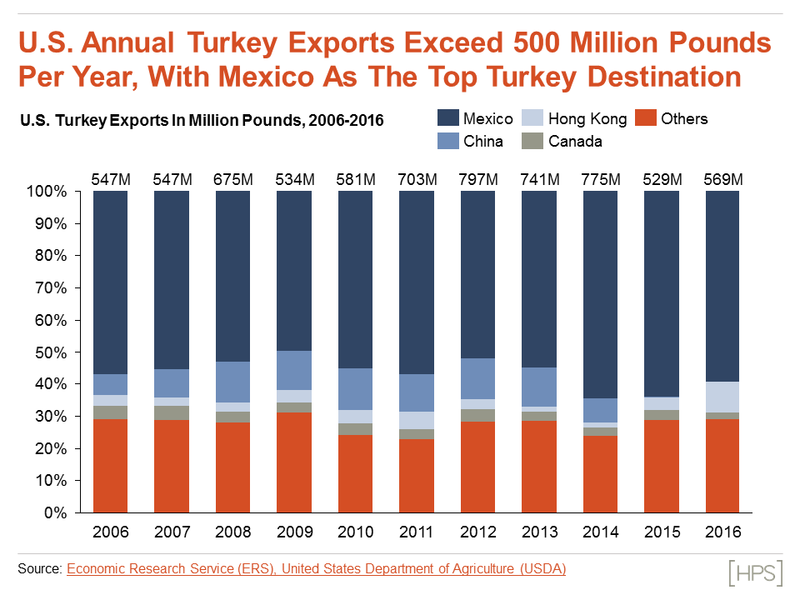 In 2016, America exported 569 million pounds of turkey, with over half of U.S. turkey exports going to Mexico. 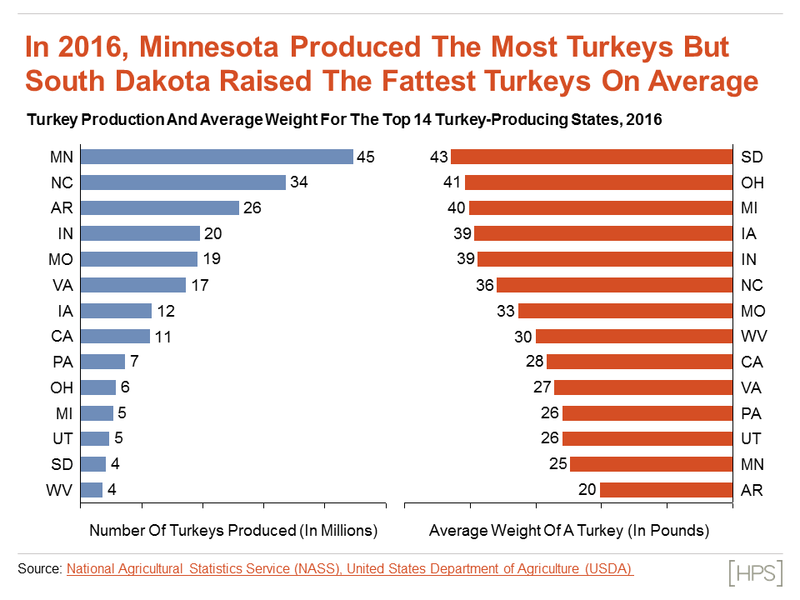 Many of these turkeys come from Minnesota, the country’s number one turkey producer, though not all turkeys are created equal. The average Minnesota turkey weighs in at 25 pounds, which pales in comparison to South Dakota’s average of 43 pounds per bird. See the charts below for further analysis.